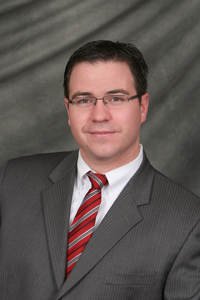 Ryan Mullahy is a partner at Girvin & Ferlazzo, P.C. Mr. Mullahy concentrates his practice in the areas of education law, municipal law, private and public sector labor and employment law, and litigation. Mr. Mullahy is experienced in multiple aspects of collective bargaining, including contract interpretation, grievance processing, and labor arbitration. Mr. Mullahy is also experienced in state administrative proceedings including Improper Practice proceedings before the New York State Public Employment Relations Board, as well as appeals before the New York State Department of Education. Mr. Mullahy also has substantial experience in student and employee discipline matters, including employee discipline matters arising under Education Law §3020-a and Civil Service Law §75. Mr. Mullahy also regularly counsels both public and private sector clients on a wide range of day-to-day legal issues, including issues involving the Family and Medical Leave Act of 1993, Title VII of the Civil Rights Act of 1964, the Americans with Disabilities Act, and the Fair Labor Standards Act, among other state and federal laws. In January, 2018, Mr. Mullahy was appointed to serve as the Town Attorney for the Town of Schodack in Rensselaer County, New York. In this role Mr. Mullahy provided advice and counsel to Town officials, officers, and department heads, drafted and reviewed laws, resolutions, and policies, and ensured Town compliance with all state, federal, and local laws, among other things. In November, 2018, Mr. Mullahy had the honor of being elected to serve a four-year term as Schodack Town Justice, commencing on January 1, 2019. In this role, Mr. Mullahy has broad jurisdiction over both criminal and civil matters, including small claims proceedings, summary proceedings, criminal arraignments, preliminary hearings in felony matters, and the adjudication of misdemeanors and violations arising under the New York State Vehicle and Traffic Law, among other things. A graduate of Siena College, Mr. Mullahy earned his law degree from Albany Law School. While in law school, Mr. Mullahy served as a member of the Albany Law Review, as well as a Competition Chairperson on the Albany Law School Moot Court Board. In recognition of his contributions to the Moot Court Program, Mr. Mullahy was inducted into the National Order of the Barristers. Mr. Mullahy served as a member of the Board of Directors of the Rensselaer County Regional Chamber of Commerce from 2012 through 2015, during which time he provided the Chamber Board with legal advice and counsel. Mr. Mullahy also served as a Trustee of the Castleton Public Library, located in Castleton-on-Hudson, New York, from 2014 through 2018. In 2016 Mr. Mullahy was appointed to serve as a member of the Board of Directors of the Schodack Wildcat Foundation, a not-for-profit organization dedicated to the betterment and expansion of educational opportunities for all students in the Schodack Central School District. In addition, Mr. Mullahy currently serves as a member of the Board of Directors of Unity House of Troy, a role he has held since 2017, and as a member of the Board of Education of the Roman Catholic Diocese of Albany, a role he has held since 2018. Mr. Mullahy resides on a small farm in southern Rensselaer County with his wife Kerry, a public school teacher, and their three children and two dogs.